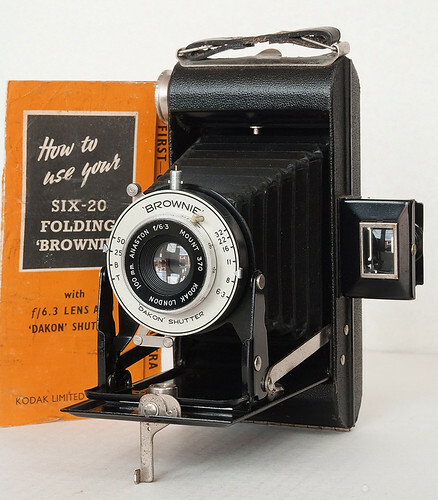 The Kodak Folding Brownie Six-20 and the Kodak Six-20 Folding Brownie are viewfinder folding cameras for making 2¼×3¼ inch exposures on No. 620 rollfilm. 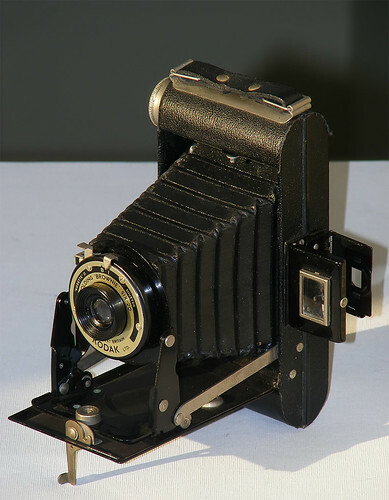 They were made by Kodak Ltd. in the UK. 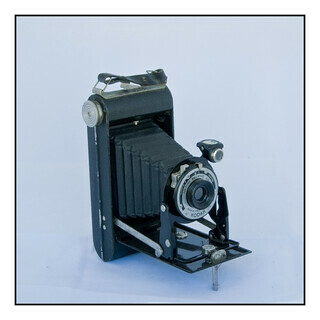 The first model is named on the faceplate Folding Brownie Six-20 and was made from 1937-1940. 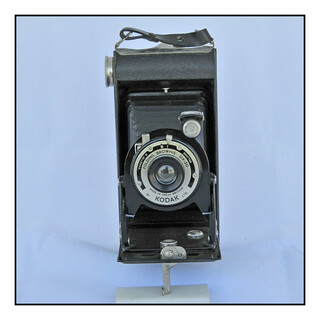 It has a fixed-focus Meniscus lens in a Kodette II shutter. A Brilliant finder was an optional extra from 1938.. 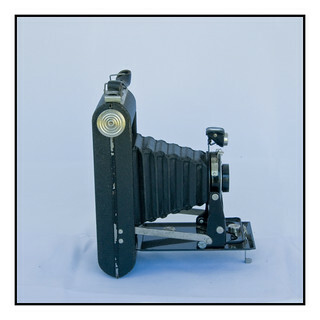 The second model is labelled on the baseplate Six-20 Folding Brownie and was made from 1948-1954. The lens is a focussing 100mm f6.3 Anaston in a Dakon shutter with an ASA flash contact. There is a swinging cover over the red window on the back. This page was last edited on 25 April 2018, at 05:07.